Pink is one of the most elegant combos ever, so you can’t go wrong with it. 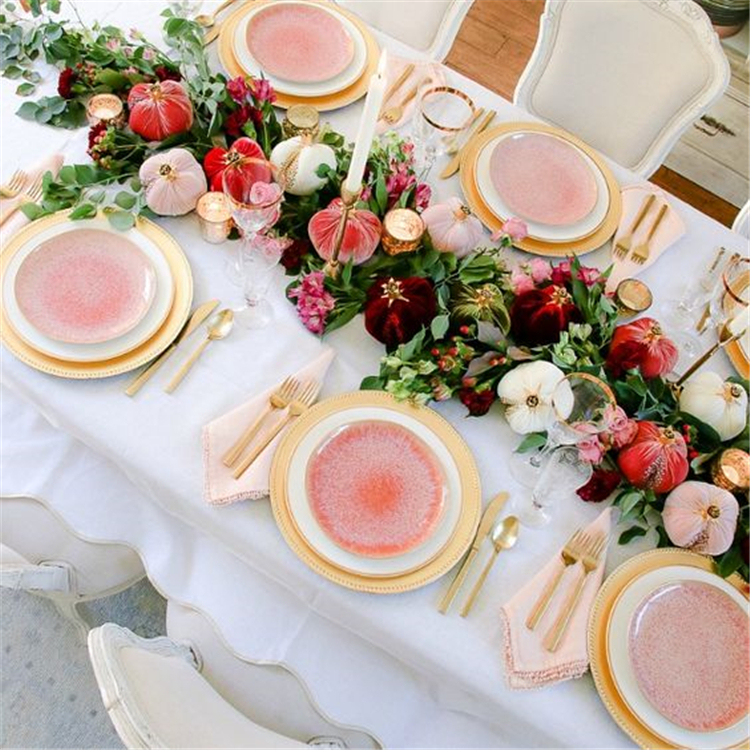 Tender pink blooms will make your tables breathe with freshness, just add gold dinnerware and candle holders for elegance. Graphite pink tablecloths will contrast with blush napkins, menus and chairs and look great. Ivory and crispy white accents will add freshness to the decor, and gilded or copper details are to make it more sophisticated.